Richard Gerber is one the 79 Commercial Realtors to receive this award in 2018 from among the 30,000 RCA (Realtors Commercial Alliance) members and from The National Association of Realtors general membership of 1.1 Million. 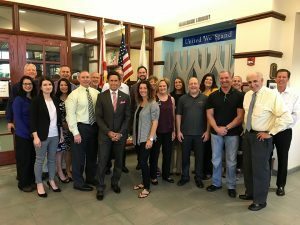 Gil Sternbach, CEO of Leverage Corporate Strategy and President of the Parkland Coral Springs Business Group, has been appointed by the City Commission to the Coral Springs Economic Development Advisory Committee (EDAC). PCBG member Richard Gaines, Esq. 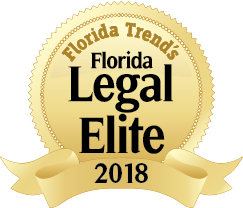 has been voted into the Florida Trend’s Florida Legal Elite 2018, in the practice area of Family and Matrimonial Law. Congratulations, Richard! We wish you many more years of success! Coral Springs, FL, April 10, 2018– The GreatFloridaHomes Team earned the Keller Williams award for Top Producing agents after posting the 2nd highest number of listings sold and cumulative sales value achieved for calendar year 2017. 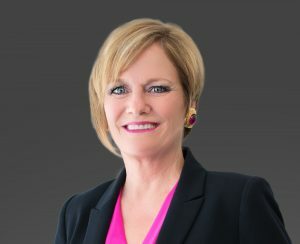 “Our real estate Team is honored to be a committed real estate partner in our respective communities of Broward and Palm Beach Counties for over 30 years. The referrals received from past client relationships that we have cultivated over the course of over three decades are gratifying reminders that we have earned our clients trust”, says Joy Carter, Team Leader. Congratulations to our colleague, PCBG member Madalina Iordache, President & CEO of BrightPink Studio! 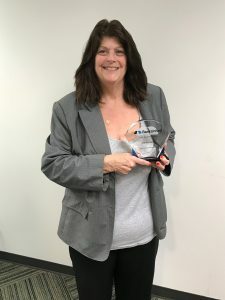 Her company was awarded two Silver Addy Awards in the 2018 Addy Awards Gala, that took place on March 8 in Fort Lauderdale, Florida, for achievements in branding and responsive web design. The American Advertising (Addy) Awards is the largest and most respected competition in the advertising industry. Each year, over 40,000 entries participate at the Addys in local American Advertising Federation (AAF) competitions. The best creative minds in all areas and levels of advertising are rewarded for their efforts. Read more about the award-winning logo and web design. We’re very happy for Madalina and wish her continued success! Today, our colleague Richard Gerber was honored by the Realtors Commercial Alliance for Broward and Palm Beach Counties with the Realtor of the Year Award. We are so proud to have you among us, Richard! Congratulations on your success! PCBG member Janice Zaitz received the Top Performer Branch Sales Leader Award for 2017 with Bank United. Janice is Branch Sales Leader and Vice President at BankUnited Turtle Creek in Coral Springs. Congratulations on your success, we are very happy for you! Our colleague Richard Gaines, Esq. has been selected as a “Florida Super Lawyer” for the third year in a row, in the practice area of Family and Matrimonial Law. Richard is recognized as a top rated family law attorney in Coral Springs for demonstrating a high-degree of peer recognition and professional achievement. 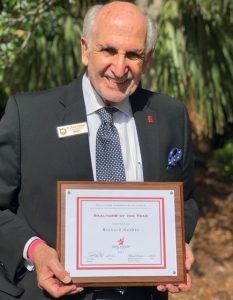 Congratulations, Richard, and many more years of success! 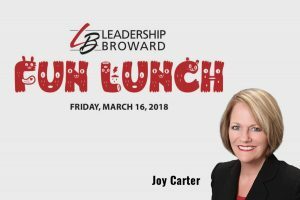 Our own Joy Carter, a successful real estate agent with Great Florida Homes / Keller Williams, will be honored at the Leadership Broward Fun Lunch, on March 15, 2018. The Fun Lunch will honor seven community leaders who are also Leadership Broward Alumni, in recognition for their accomplishments in Broward County. 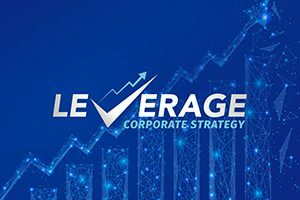 In celebration of the company’s 15th year in business, Leverage Corporate Strategy (LCS) announces the unveiling of a new trade name, logo and website. The change is in response to constructive feedback from CEO’s who represent the company’s target market. “We needed an image that was consistent with the name of the company, so that we could effectively communicate the nature of our services and value proposition to clients and prospects”, said Gil Sternbach, CEO of Leverage Corporate Strategy. 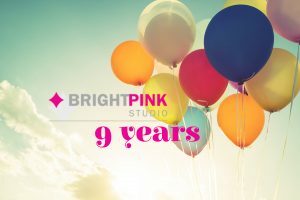 BrightPink Studio is happy to announce and celebrate today their nine years of existence. The company, specialized in marketing, web development and graphic design for companies of all sizes, is based near Fort Lauderdale, FL, with a second office in London, UK. Proudly Supporting Parkland Buddy Sports! PCBG is proud to support Coach Andy and Parkland Buddy Sports, a non-profit organization that offers sports programs for special needs children and young adults. We are happy to support and sponsor Big Bike Riders Children’s Foundation and all that they do for our community. Big Bike Riders Children’s Foundation works hard to make a difference in children’s lives. From events to motorcycle rides, to handing out lollipops to the kids that are confined in hospitals or are living in villages as a way to simply put a smile on a face that may have been a frown before they arrived. During our 4th Annual Kick Back and Give Back event on January 26, we raised funds to support their charitable efforts. Today, at our weekly meeting at the Parkland Library, we had a special guest, John Spitaliere of Big Bike Riders Children’s Foundation, who we proudly presented the check to. We are happy to support the important work that Family Central provides to our local community! As one of the charities we chose to support during our 4th Annual Kick Back and Give Back event of January 26, through all of our efforts and the generosity of all those who donated and participated in our event, we were able to present this wonderful organization with our donation check on April 4th, after our weekly meeting at the Parkland Library. We are proud to have chosen to support this wonderful not for profit organization – Tomorrow’s Rainbow. Tomorrow’s Rainbow provides grieving children, teens and their families an emotionally safe environment for hope and healing through guidance, education and support. During our March 28th meeting at the Parkland Library, we have learned more about the important work of this organization and how it makes a difference in children’s lives. We were also happy to present them with the proceeds we raised for them during our 4th Annual Kick Back and Give Back event of January 26. We are proud supporters of In Jacob’s Shoes and honored to present our donation! Today, at our weekly meeting at the Parkland Library, we have a special guest, Harlene Weiss Zweig of In Jacob’s Shoes, one of the four charities we chase to support this year. During our 4th Annual Kick Back and Give Back event on January 26, we raised funds to support their charitable efforts and today we proudly presented them with a check. On March 15, our member Janice Zaitz was promoted to Vice President of BankUnited Turtle Creek Branch. For Janice, a 17 years veteran with BankUnited, this is the second promotion within 9 months, and a very well deserved one, as the Turtle Creek Branch ranks now #1 within the Broward region. Congratulations, Janice! We are very happy for your success. PCBG member Brad Edelman, a sales representatives for promotional products and printing with Brown & Bigelow, was awarded top sales increase within the company. Brad ranked #1 for best increase in sales from within the company’s 300 sales representatives, with a notable 184% increase in February 2017 when compared to last year. PCBG member Madalina Iordache, president of BrightPink Studio, a marketing company in Coral Springs, won three important industry prices during the 2017 Addy Awards. BrightPink Studio received three Silver ADDY Awards for web design and responsive design. The winners were chosen from various submissions from the Greater Fort Lauderdale & The Palm Beaches area, and awarded during a ceremony in Fort Lauderdale, Florida, on Thursday March 2nd. The American Advertising Awards (also known as The ADDY Awards), being the largest and most prestigious competition in the advertising industry, receives over 40,000 entries annually in local American Advertising Federation (AAF) competitions. The Awards celebrate the best creative minds in all areas and levels of advertising. BrightPink Studio took home a total of three awards for some of the work they completed in the past year. The Silver winners were: BOGproducts.com in the category ‘Websites – Consumer’ and SignalRestoration.com in two categories, ‘Websites – Business-to-Business’ and ‘Digital Creative Technology – Responsive Design’. 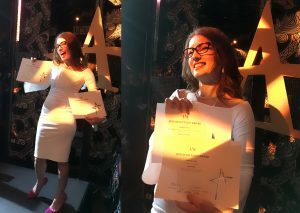 Congratulations, Madalina and BrightPink Studio! Parkland Buddy Sports is hosting a Disco Dance Fever fundraising event at Platforms retro dance club in Boca Raton. Come and enjoy a fun event that helps support a very worthy cause. The fun takes place on Friday, October 11 (6:00 PM to 9:00 PM). The Platforms dance club is located at 99 SE 1st Avenue, in Boca Raton. PCBG member Richard Gaines recently announced the opening of his own law firm, The Gaines Law Firm, located in Coral Springs. PCBG member RPCBG reaffirms its annual commitment and financial support for Parkland Buddy Sports. 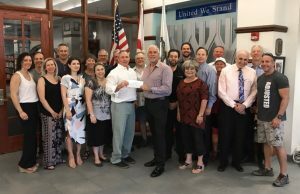 The group has already made a donation in the amount of $2,500 in favor of this unique organization that continues to have a positive impact on the lives of those it touches. PCBG expects to make a similar donation following its annual fundraising event in January. More details to follow. For more information on Parkland Buddy Sports, please visit our Community Partners tab.chard Gaines recently announced the opening of his own law firm, The Gaines Law Firm, located in Coral Springs. PCBG has committed to developing and funding a scholarship program to help select students at Stoneman-Douglas High School. Specifically, two recipient students will receive a scholarship donation to help defray their academic costs.